where can i get sky vip app android or ios ? Select the Welcome Gift from the Sky VIP home screen then accept the terms and conditions. We’ll send a confirmation email to the registered Sky account email address for your household, with instructions on how to redeem your Welcome Gift on the Sky Store section on your Sky box or on the skystore.com/redeem website. Please check your junk folder if you haven’t had a confirmation email within the next two hours. If it isn’t there, please check and edit your email at sky.com/mys…ils. Press the tv guide button on your Sky remote. 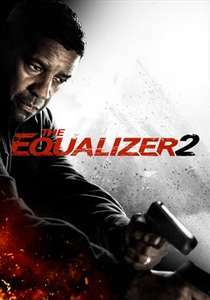 Choose and download any movie showing at £0 / €0. Press the Home button on your Sky remote. Go to sky.store.com and sign in with your Sky iD details. Select the Sky VIP tab. All available titles (as part of this promotion) will show as £0/ €0. So should i purchase through the box then not the internet? Not free on either here! It's not a patch on the first one anyway so no great loss. As someone else has said really crap film with no plot very lame! Needs to be free!! Whatever happened to Edward Woodward? Sorry my SKY Box showing a cost to download. 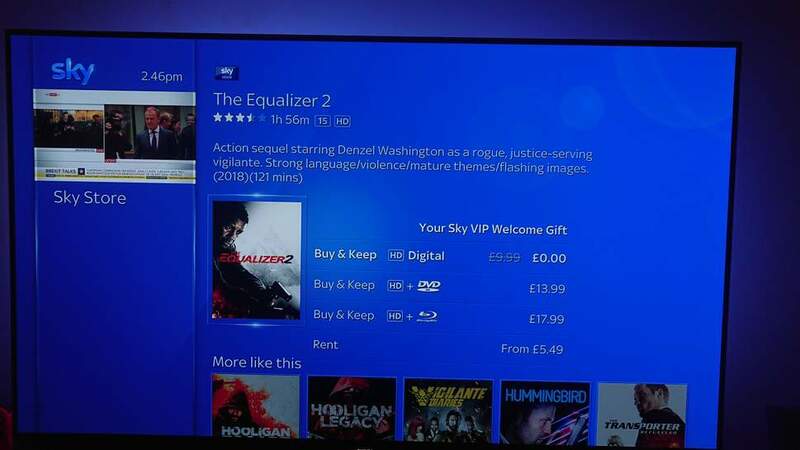 Not free here, have you got a Sky Q box, these have different offers! They should pay you to watch it. Then he has a fight in a whirlwind. That last bit makes it sound a lot better than it actually is. Guess I'm the only one who enjoyed it first was better but still thought this was good! Insult to the original, should have never been made. I just got it for FREE! Really!! I didn't like the first, so glad i missed this one. My opinon is probably influenced by the fact i loved the original series. All free to choose from. This sounds like a generic VIP welcome gift offer. Sure this is the standard once-only Sky VIP free movie offer when you join. Forever getting repeated on here. Eastenders last time i saw him ? Deal posting newbie! This is Umar_Hashmi first deal post. Help out by leaving a posting tip or just to show your appreciation for their contribution.